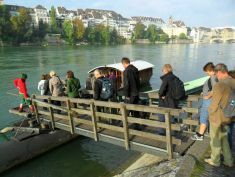 In September 2013 a group of 22 experts from Rostock, Gdansk, Kalmar and Karlskrona visited Freiburg (Germany) and Basel (Switzerland). 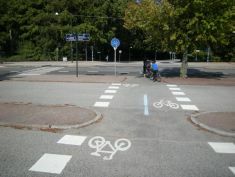 Both cities are very ambitious to promote cycling as a part of their multimodal transport system. 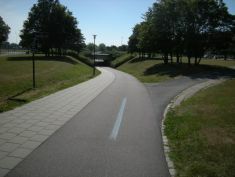 The program of the study trip can be found here. 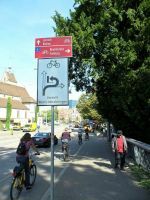 The City of Freiburg (230,000 inhabitants) has been working for more than 4 decades in the development of an environmental and climate-friendly urban and regional transport. 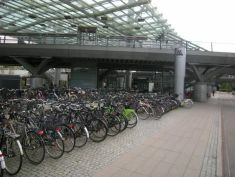 The expansion of bike paths and light rail system, the design of the main station as a multimodal transportation hub, the establishment and expansion of the pedestrian zone and a new market concept for local supply are part of this policy. 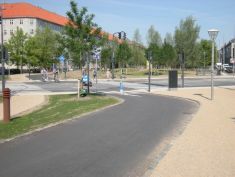 The new districts Rieselfeld and Vauban are very good examples for sustainable city development integrating many aspects: Low-energy housing, citizen involvement, joined housing development, traffic and energy conception, renewable energies, social work, culture, playgrounds, rainwater management etc. After an introducing presentation Steffen Ries from the Innovation Academy guided through the Green City Freiburg and showed innovative and well proven solutions. 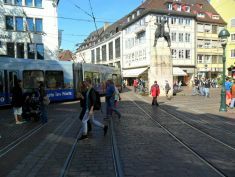 The City of Basel (193,000 inhabitants) is the center of an agglomeration of communities in Switzerland, Germany and France with a population of more than 0,5 million people. 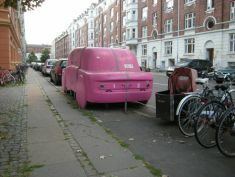 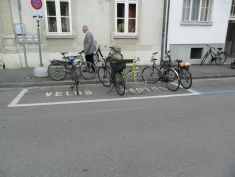 Due to the historical structure of the city cycling and other modes of transport have to share the limited space. 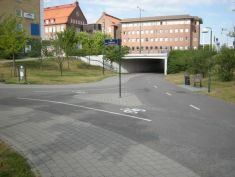 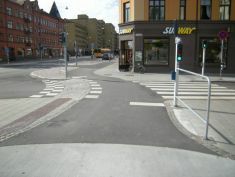 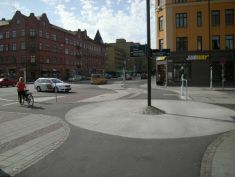 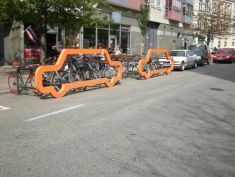 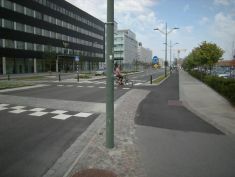 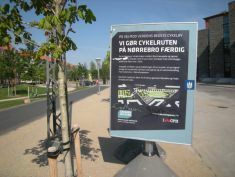 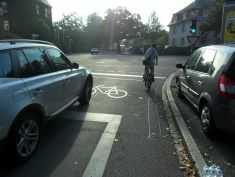 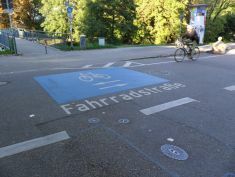 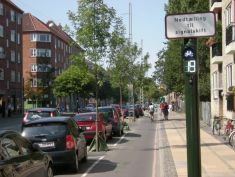 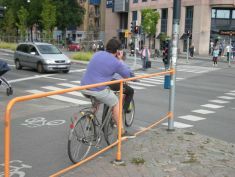 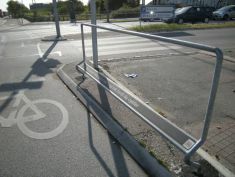 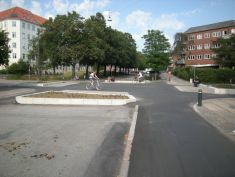 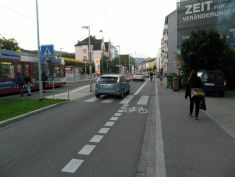 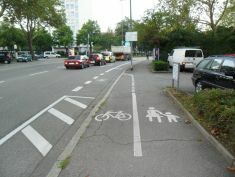 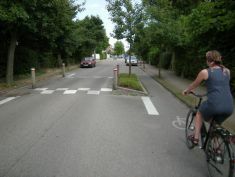 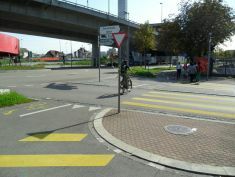 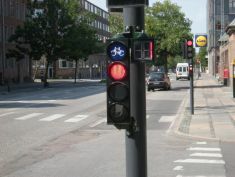 Bicycle measures include the construction and signing of the network - consisting not only of separated bicycle tracks but also bicycle lanes, one-way streets to be opened for two-way bicycle traffic, zones with speed restrictions of 30km/h in residential areas and combined bike/bus lanes as well as the settlement and improving of parking spaces for bicycles (e.g. 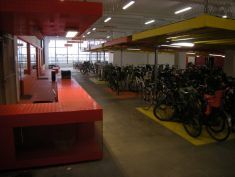 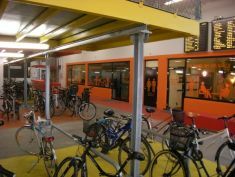 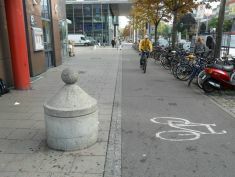 bicycle station with 1700 parking spaces). 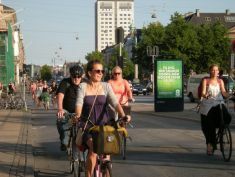 The bicycle strategy was extended from infrastructure to “soft policy”-measures, such as marketing, data management and education in order to increase bicycle traffic even further. 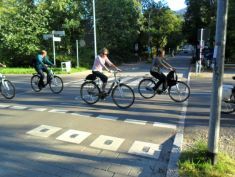 Alain Groff and Jasmin Fürstenberger from the municipality of Basel presented their approach to promote cycling and public transport and how to achieve the goal of 10 % less cars in 10 years. 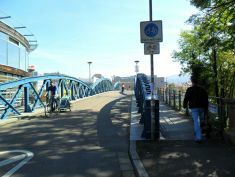 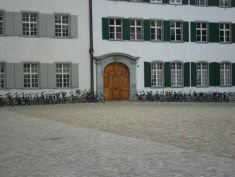 Kathrin Schweizer guided a bicycle tour through Basel. 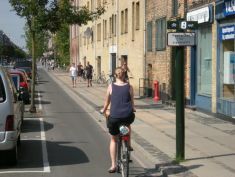 Gdansk has about 450.000 inhabitants and is the capital of Pomerania in North of Poland, situated at the Baltic Sea. 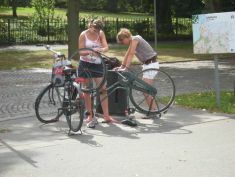 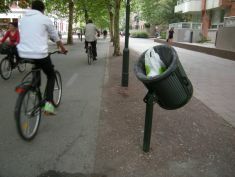 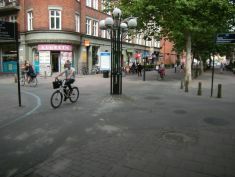 To insiders, the city is well known for its numerous bicycle activities. 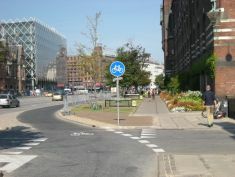 In fact, the City of Gdansk counts as a leading city in Poland with respect to the development of cycling infrastructure. 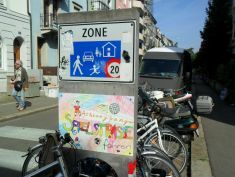 In view of their vision of a „City of short distances“, they want develop Gdansk into a vibrant city that offers a high quality of life. 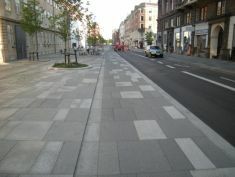 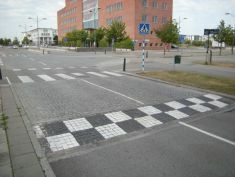 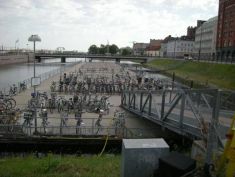 Since 1997, the City of Gdansk has gathered extensive experience while implementing various elements contributing to an urban cycling system. 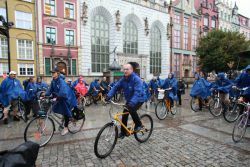 The City was subjected to a Bicycle Policy Audit (BYPAD) and is eager to share the experience gathered in promoting active mobility in urban areas with representatives of other Polish and foreign urban areas. 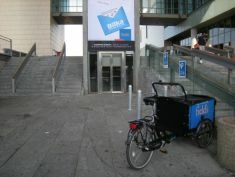 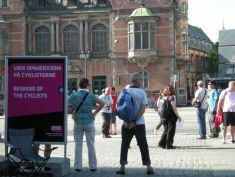 For the fifth time, the city hosted the annual Active Mobility Congress, attracting, again, an international audience. 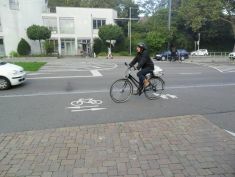 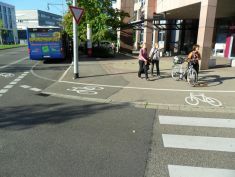 On 12th of September 2013, on a guided bike tour that was offered at the time of the Active Mobility Congress participants and abc- partners had the opportunity to form their own opinions of the bicycle-friendly city. 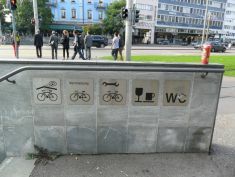 They were introduced to the urban cycling system in general and to its signage in particular, as well as to the new bicycle parking facilities in the city center, the new cycling monitor, and the remodelled cycling-friendly street in the university district. 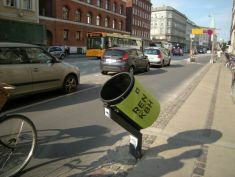 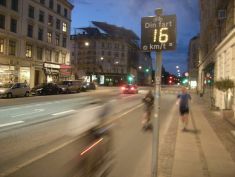 Moreover, the participants were repeatedly made aware of a new traffic sign that had been specifically designed to sensitise other traffic participants to the need for being considerate of cyclists. 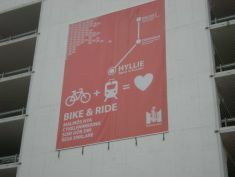 The new sign has already been installed at over 100 locations in the city. 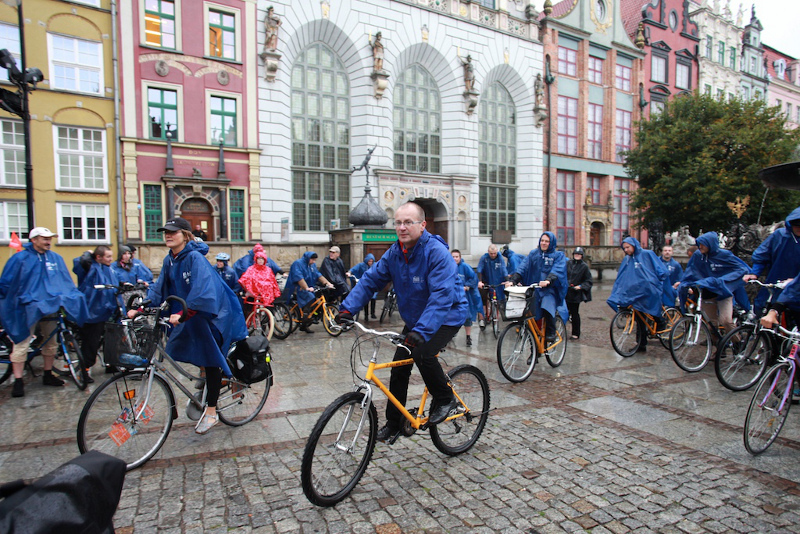 Despite the bad weather, the tour successfully conveyed a good overview of the efforts on the part of the City of Gdansk to create a cycle-friendly atmosphere. 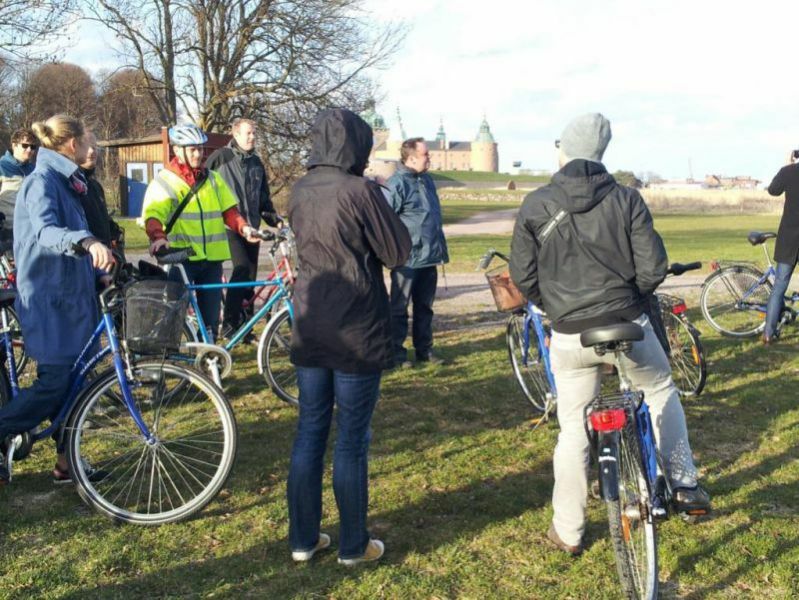 Study trip during the partner meeting and Think Tank Workshop in Kalmar, 23th of April 2013. 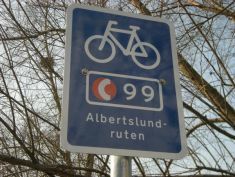 During the two hour ride, they looked at the new bike signage system, the radar boxes measuring the number of cyclists, new and old cycle paths, the new Brage bridge with low mounted lightning, a new roundabout as well as other things along the way. 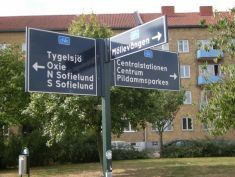 At the point where the first picture is taken they are looking at Kalmarsundsbadet, a place for picnics, playing in the field and swimming in the sea. 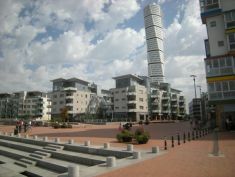 The area was heavily developed during 2013. 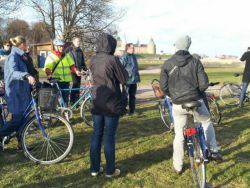 In the background you can see Kalmar Castle. 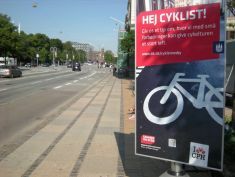 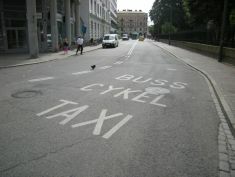 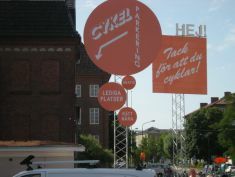 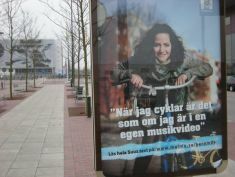 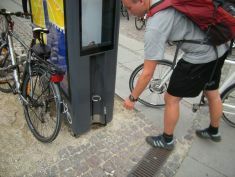 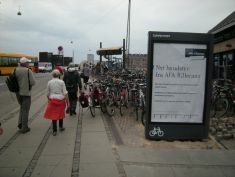 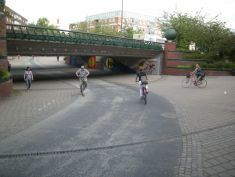 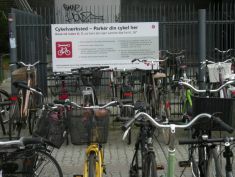 In August 2012 the abc-partner from Gdansk, Rostock and Kalmar visited with a group of 25 people two of the most interesting cycling cities in the world: Copenhagen and Malmö. 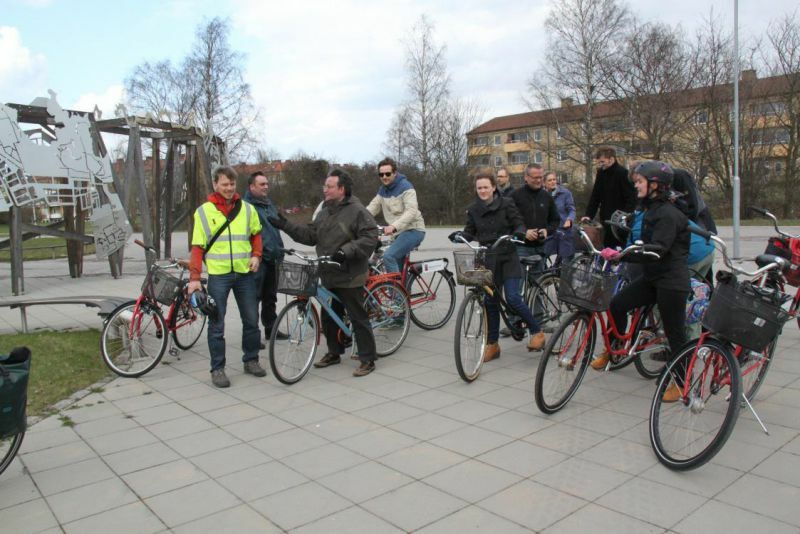 They had one day for each city and took the time to meet experts and see the infrastructure and bicycle culture during a guided cycling tour.